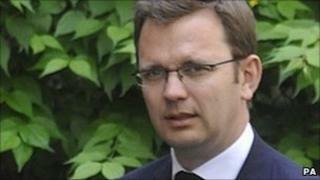 Former reporter Sean Hoare has claimed the paper's former editor, Andy Coulson, asked him to hack into phones. Mr Coulson has told Scotland Yard he is happy to meet them voluntarily about the allegations, which he denies. A spokesman for Mr Coulson said: "Andy Coulson has today told the Metropolitan Police that he is happy to voluntarily meet them following allegations made by Sean Hoare. "Mr Coulson emphatically denies these allegations. He has, however, offered to talk to officers if the need arises and would welcome the opportunity to give his view on Mr Hoare's claims." Mr Coulson came under fresh pressure last week after former journalists told the New York Times that the practice of phone hacking was far more extensive than the newspaper acknowledged at the time. In light of the new information, Mr Yates told BBC Radio 4's Today programme: "We've always said that if any new material or new evidence was produced then we would consider it. "We've heard what Mr Hoare's had to say, we've been in touch with the New York Times for many months prior to the publication of the article, seeking any new material or new evidence that they had. They didn't produce any until they published this with Mr Hoare. "It is new and we'll be considering it, and consulting with the Crown Prosecution Service before we do." He confirmed Mr Hoare was new to the inquiry and had "come from nowhere" as far as the investigation was concerned. On Monday morning, lawyer Tamsin Allen said her clients, who include former Labour minister Chris Bryant and former senior Met officer Brian Paddick, wanted the police's decision making in this case to be "properly scrutinised". And shadow Home Secretary Alan Johnson has requested an urgent question in the House of Commons, asking Home Secretary Theresa May to explain what she intended to do in light of accusations that current members of House may have had their phones tapped. On Sunday she said there were no grounds for a public inquiry. Home Affairs Select Committee chairman Keith Vaz said Mr Yates would be asked about the latest developments in the inquiry when he appears before it on another matter on Tuesday. Mr Coulson - who is now Prime Minister David Cameron's director of communications - has received strong backing from Number 10, which said he "totally and utterly" rejected claims he was aware of any wrongdoing. Mr Hoare told the New York Times he was fired from the News of the World during a period when he was struggling with drink and drugs. The News of the World's royal editor, Clive Goodman, was jailed for conspiracy to access phone messages in 2007, along with private investigator Glenn Mulcaire, but the paper insists it was an isolated case. While critical of the conduct of the News of the World's journalists, the Commons Culture and Media Committee found no evidence that Mr Coulson either approved phone-hacking by his paper, or was aware it was taking place. In 2009, the Metropolitan Police chose not to launch an investigation following the Guardian's claims that News of the World journalists were involved in widespread phone hacking of several thousand celebrities, sports stars and politicians. All five candidates in the Labour leadership contest have called for a fresh inquiry, echoing sentiments expressed by other senior party figures in recent days. But on Sunday, Education Secretary Michael Gove told the BBC's Andrew Marr programme that the New York Times allegations "seem to be a recycling of allegations we have heard before" and may have been a product of newspaper "circulation wars" in the US. Mr Gove said it was often "overlooked" that Mr Coulson, by resigning as editor in 2007, had taken responsibility for what had happened over the Goodman case even though there "was no evidence he knew what was going on". Labour leadership contender Ed Balls, former Labour minister Tessa Jowell, who says her phone was hacked 28 times, and former deputy prime minister Lord Prescott, who also believes he was targeted, have all called for action. Mr Balls said Mr Coulson's role at the heart of Number 10 meant that the government's "integrity" was under question. Lord Prescott threatened legal action in his bid to gain access to documents relating to his records. Mr Yates defended the initial police investigation, saying: "This was a very thorough inquiry, conducted in 2006, that resulted in the conviction of two people. "It resulted in a very complex area of law being clarified, and it sent an extremely strong deterrent message for other people who may be getting involved with this in the future that this is not a privacy issue. "This is much more than a privacy issue, this is a criminal issue for which you face the prospect of going to jail. I have to say this was a successful investigation." The News of the World has rejected "absolutely any suggestion there was a widespread culture of wrongdoing" at the newspaper. It said in a statement: "The News of the World repeatedly asked the New York Times to provide evidence to support their allegations and they were unable to do so. "Indeed, the story they published contained no new credible evidence and relied heavily on anonymous sources, contrary to the paper's own editorial guidelines. "In so doing they have undermined their own reputation and confirmed our suspicion their story was motivated by commercial rivalry."